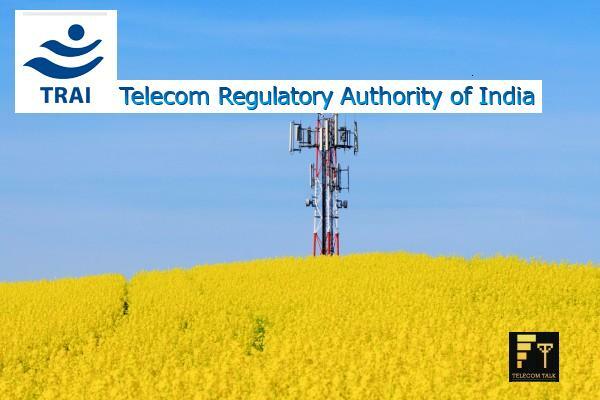 The Telecom Regulatory Authority of India (TRAI) today released its recommendation for base price for upcoming 800 MHz CDMA spectrum auction. The regulator recommends that the reserve price for the forthcoming auction of 800 MHz spectrum should be fixed at 80% of the average valuation. In terms of the quantum of spectrum to be put for auction, TRAI suggested that the entire spectrum in the 800 MHz band available with the DoT should be put-up to auction. The telecom regulator also said that at least one chunk of contiguous 5 MHz spectrum (i.e. 4 carriers) should be carved out before the auction and the purpose of making 5 MHz contiguous is to facilitate the adoption of newer technologies. Not only, would it pave the way for the adoption of newer technologies like HSPA, HSPA+, LTE, LTE-A etc to achieve better efficiencies and throughputs in the 800 MHz band but also enable the Government to realise the optimal value of the spectrum. BSNL should be allowed to retain only one CDMA carrier in all the LSAs except in Jammu and Kashmir, Assam and North-East LSAs, where it can retain both the carriers. The DoT should take back other carriers assigned to BSNL in the 800 MHz band. The entire available spectrum with the DoT in the 800 MHz band should be put to auction. At least one chunk of contiguous 5 MHz spectrum (i.e. 4 carriers) should be carved out before the auction. The carrier reassignment, if required, may be carried out amongst the existing TSPs in the 800 MHz band to make at least 4 contiguous carriers available. Alternatively, the NIA for the auction may clearly stipulate that only contiguous blocks of 5 MHz will be sold. However, the reconfiguration of the frequencies should be worked out while auction is underway so that the reassignment is possible to be effected on completion of the auction. Spectrum in the 800 MHz band should be auctioned in a block size of 1.25 MHz. A new entrant i.e. a TSP which does not have any spectrum holding in the 800 MHz band must bid for a minimum of 4 carriers. However, an existing TSP i.e. a TSP having some spectrum holding in the 800 MHz band should be permitted to bid for a minimum 1 block of spectrum. New entrants must be assigned the earmarked contiguous carriers only. The Authority recommends that the reserve price for the forthcoming auction of 800 MHz spectrum should be fixed at 80% of the average valuation. MTS is Verizon of India. but MTS need to be prove it by better using EVDO with cheap mobile plan as well as handset. EVDO is better than GSM 3G specially for DATA CARD user.